Much of our culture can be best appreciated by understanding our traditional food, drink and music. You can see more about our culture on the Cultural Village Project page. Water Lilies (Nymphaea Lotus) are potato-like tubers used as vegetables. 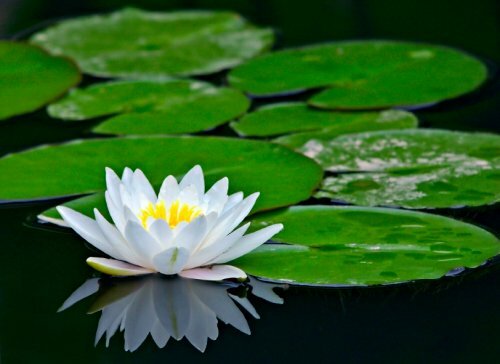 These can be found in both shallow and deep waters where the leaves and flowers float on the surface of the water. When the tubers are small we call them Makhungara and we eat them raw as a snack. The flower seeds can be eaten raw at any time. 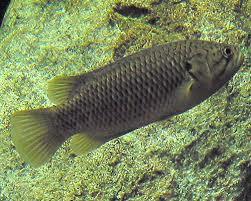 There are many kinds of fish in the Thamalakane River – about 71 species at the last count. 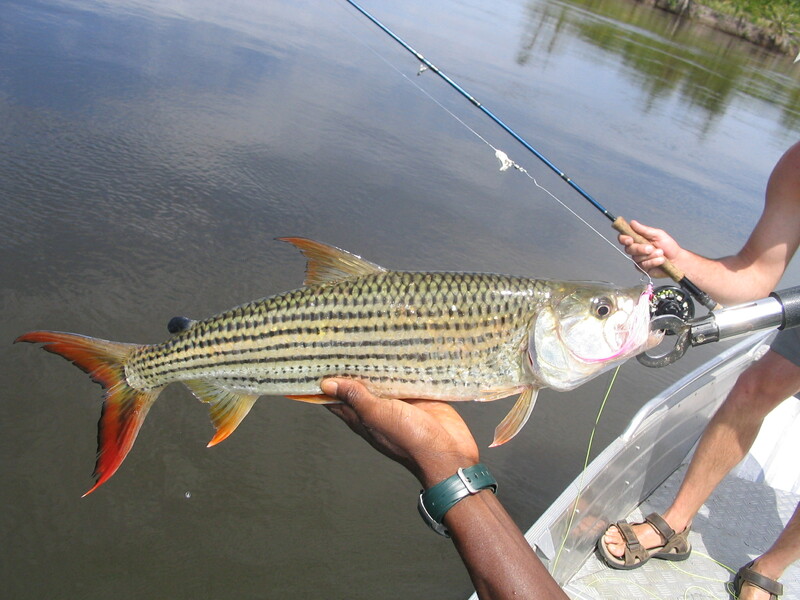 The main species are Tigerfish, Tilapia and Catfish (Twene). 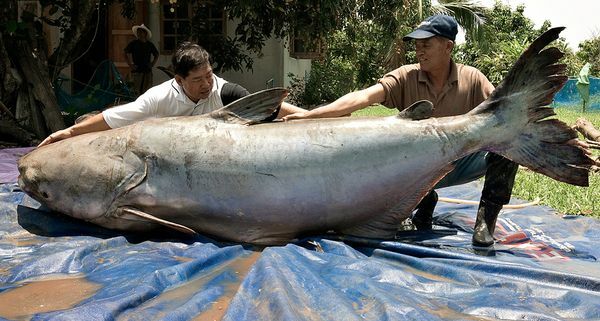 Fish are simply boiled or fried but we have our special way of preparing it. We use a special lining (soft reed from the river) at the bottom of the pot to prevent the fish getting stuck to the pot. The fish can also be wrapped in brown paper and placed in the earth beneath the fire to cook it slowly! Leketa is a wild green vegetable which grow naturally in the wild during rainy season. 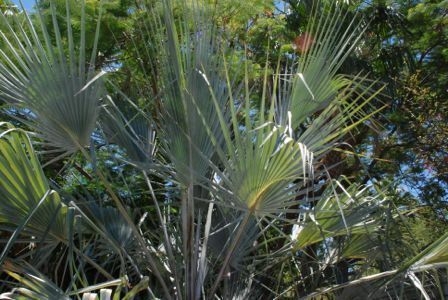 Thepe is just like Leketa – a natural rainy season vegetable plant. Khadi is fermented liquor made from Grewia Berries mixed with water and brown sugar for the fermentation process. Added traditional ingredients for the cider’s special flavour are Mogwana (Grewia Bicolour) or Moretwa (Grewia Flava). Khadi tastes like sparkling hard cider. 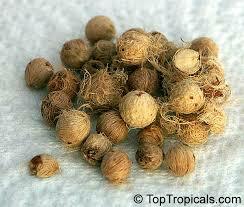 Grewia fruits (like raisins) are eaten as snacks, fresh or dried. Interestingly the barks of these trees are used to make ropes, its twigs can be used to make toothbrushes and also bows & arrows. Anything left over is burned for cooking purposes so nothing is wasted! 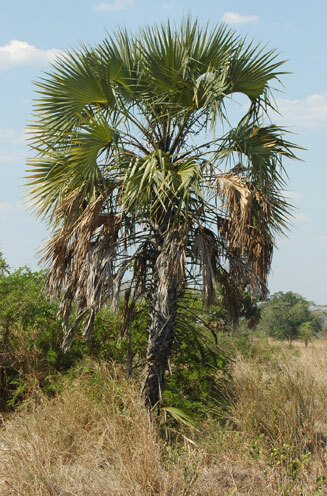 Mochema is made from Mokolwane (Haephaene Petersiana, Palmae). 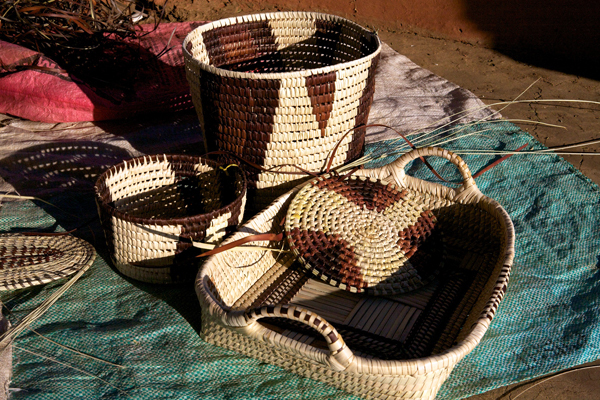 Plam sap is used for wine while its leaves are used for crafts (basketry). 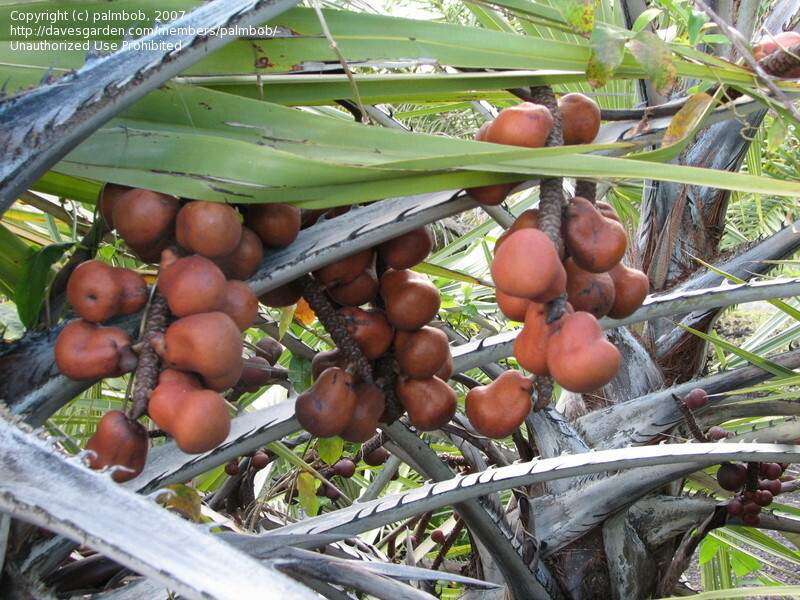 In order to collect the sap, the tree needs to be cut at growth points to produce coconut-like juice which we call Mochema. At first it tastes sweet and as it ferments it tastes like wine. The pith of the stem is edible (Xhzao) and its fruits are edible and tasty. The hard white kernel of the seed is known as Vegetable Ivory. Kids use the dried fruit as a hard ball in a game called Diketo. 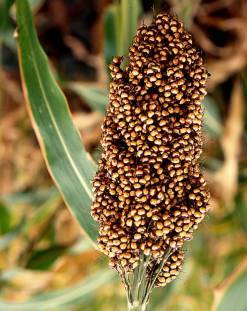 A traditional alcohol beverage made out of fermenting sorghum grains. This drink is usually thick and the tiny grains are usually visible. 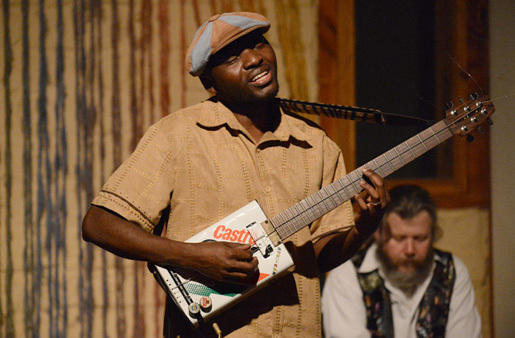 Setinkane is a musical instrument which is portable and handmade. It has a wooden base each of the wires is beaten to make it sound differently. It produces lovely sound. . . . . . . . . . . . . Setinkane (hand piano) . . . . . . . . . . . . . . .
Katara is a musical instrument – an improvised guitar – see example below. Oil Can Guitar – fishing line used for strings. Mojamboro is the traditional attire for dancing: skirt and bra top made of an animal skin, decorated with beads. Mawayawaya is the traditional dance skirt made with soft lighter reeds, the reeds make lovely sound during dancing. Dikhwaere is a form of entertainment where people sit around a fire and sing. They often make up the words to the song as they go along. 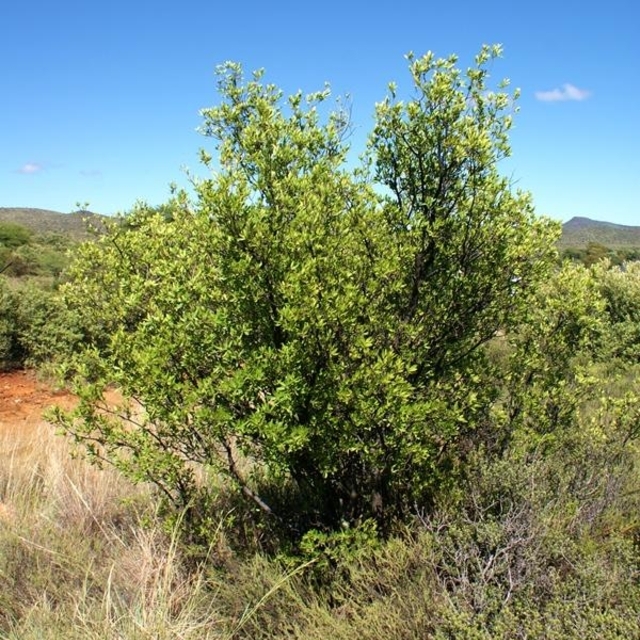 The roots of the Bushveld Blue Bush (Diospyros Lyciodes) make excellent toothbrushes which leave your teeth sparkling clean. The deep brown colour of these roots is used to produce a dye for basket weaving. Letsoku is make up for women. 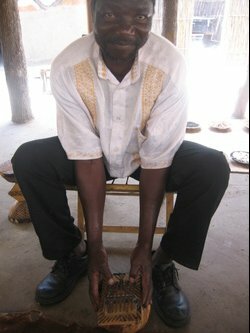 Special stones are ground and carefully sieved to produce a fine powder. This is used to enhance a lady’s facial complexion and can be produced in different colours to cater for different skin types. 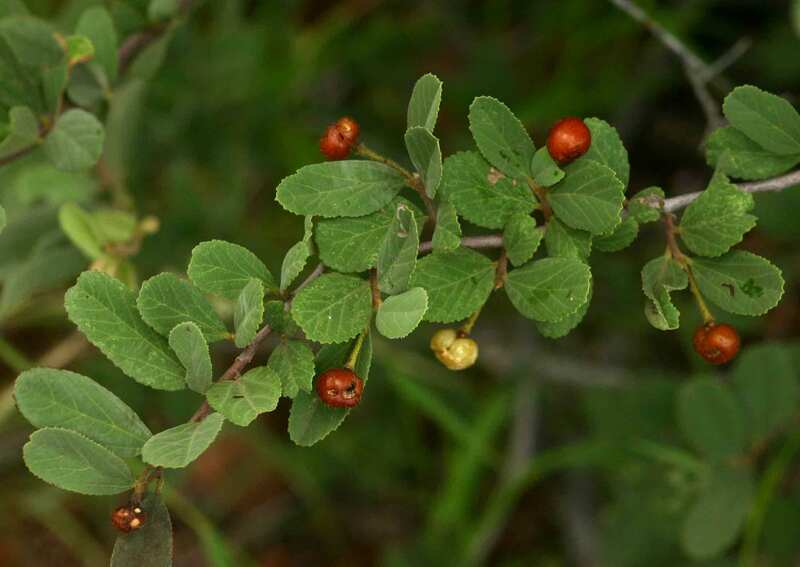 Letsoku is a natural substance and therefore it has no side effects. 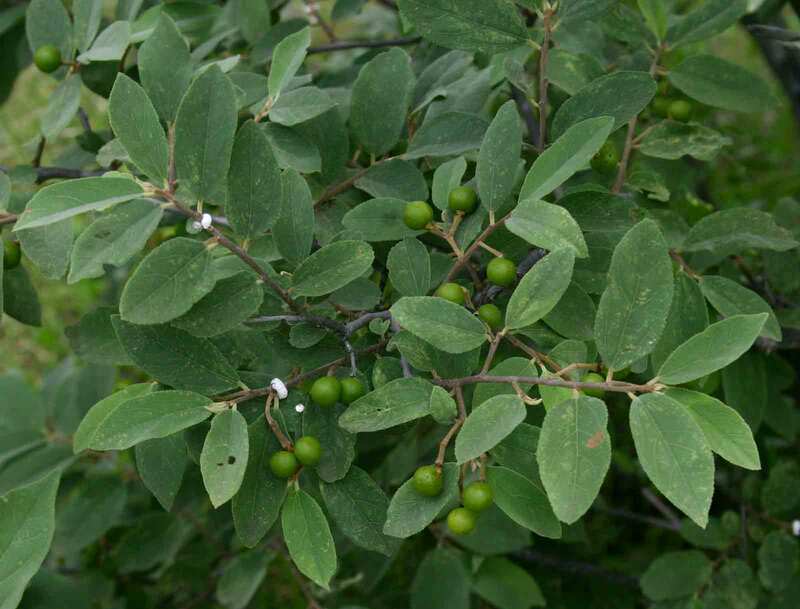 It has both healing and protective powers against blemishes. When a teenage girl has her period for the first time, she is kept in the house for a period of time without being allowed to go outside at all. 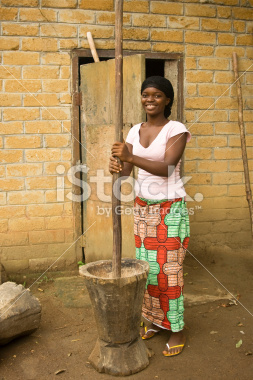 Villagers call her Ngwani during this time. Letsoku would be applied to her face every day so that when she comes out she looks extremely pretty! 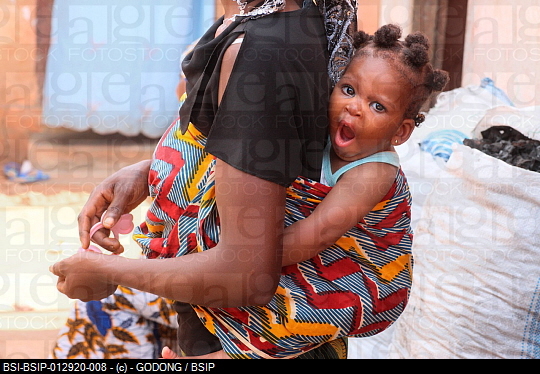 Thari is used by mothers to carry babies on their back while they do their daily chores. It can be made of animal skin or a hard cloth. Nowadays mothers use ordinary baby blankets to create a Thari. 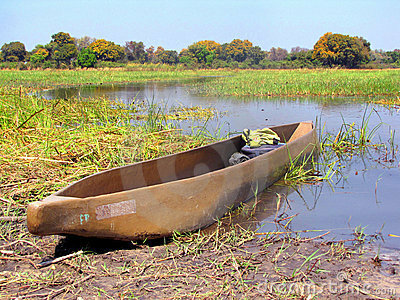 This is a dug-out wooden canoe used for travel and to carry goods across the river. 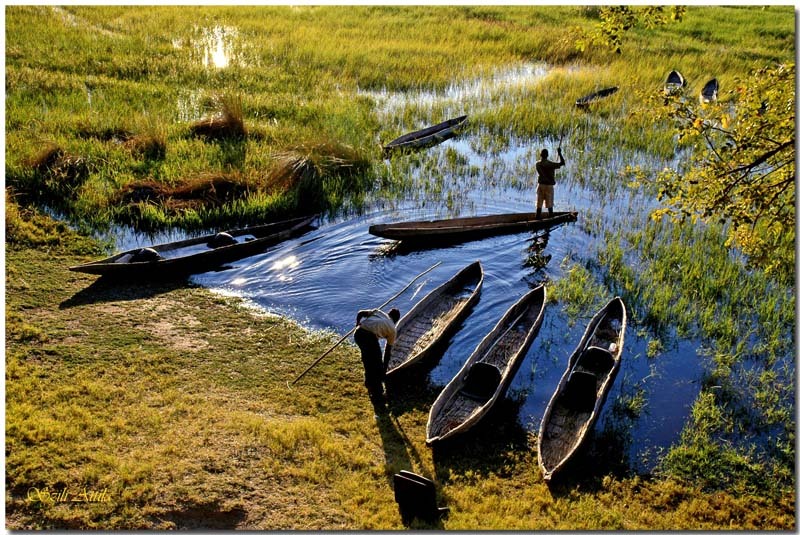 Special wood is used to build it because it must be strong, durable and light.
. . . . . . . . . . . . . Mokoro (dug-out canoe) . . . . . . . . . . . . . . This is very tough thread removed from the inside of an old car tyre and is used to make a very strong fishing net. These are strong thick reeds found in the river. 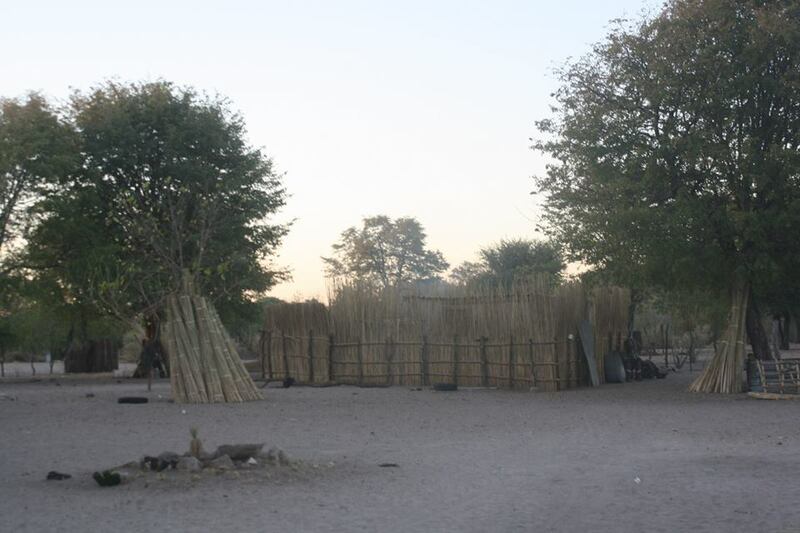 We use these to build our huts, courtyards and fireplaces.